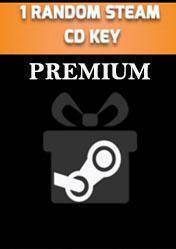 Random Premium Steam game is a random cd key to any game available on the Steam platform, but with this "Premium" version you will have more chance that the cd key belongs to a TOP Game, more expensive game that's normal for Steam Random game. The game that you will receive will always have a higher value than this Random cd key costs. We recommended to carefully read the information in each store, and in some, if you already have the game that has touched you the store will return the money. I Bought 37 Random Game Keys on eBay... This is What Happened.